Place the bread, cream and eggs into the TM. Use a good quality sliced bread. Remove the crusts and cube the bread. Process on speed 4 with butterfly for 10 seconds. There should be no big clumps. Pour out of TM and reserve. No need to wash bowl. 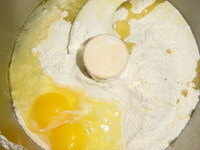 ***Note, this bread and milk type of mixture is called a panade. 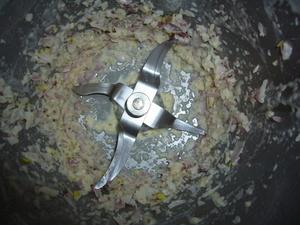 Remove butterfly and add quartered shallots. 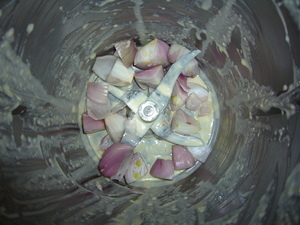 Process shallots for 7 seconds at speed 8. Stop midway and scrape down. 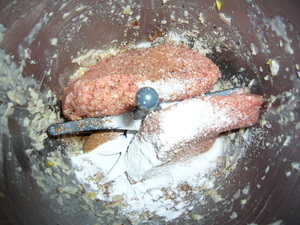 Add veal, nutmeg, allspice, pepper, brown sugar, salt and baking powder. Process at speed 4 for 2 minutes, scraping bowl midway. 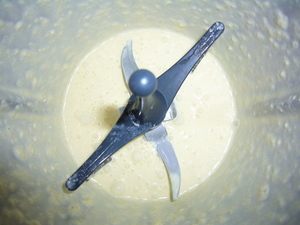 Add the panade (reserved bread and cream mixture) and process for another minute at speed 4. 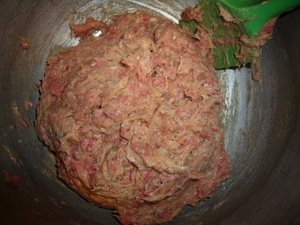 Turn veal mixture into a bowl and add beef. 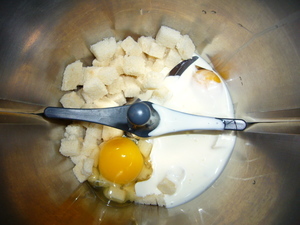 Mix with a spatula, by hand, until uniform. You do not want the beef integrated with the TM as that would affect the texture. 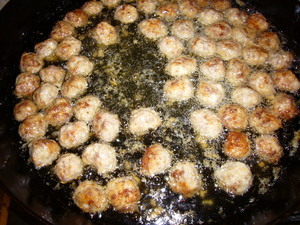 Shape into 1 inch (2.5 cm) meatballs. Heat oil in a large frying pan (I use a #12 cast iron pan). Adjust the amount of oil based on the width of the pan. Heat oil to 350F (175 C) and place balls in one at a time. Fry for about 7 minutes till brown all around, turning as needed. 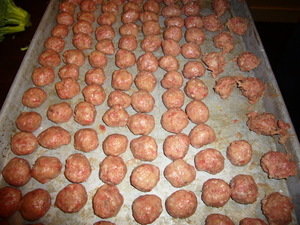 For an appetizer, place balls in sauce and serve. 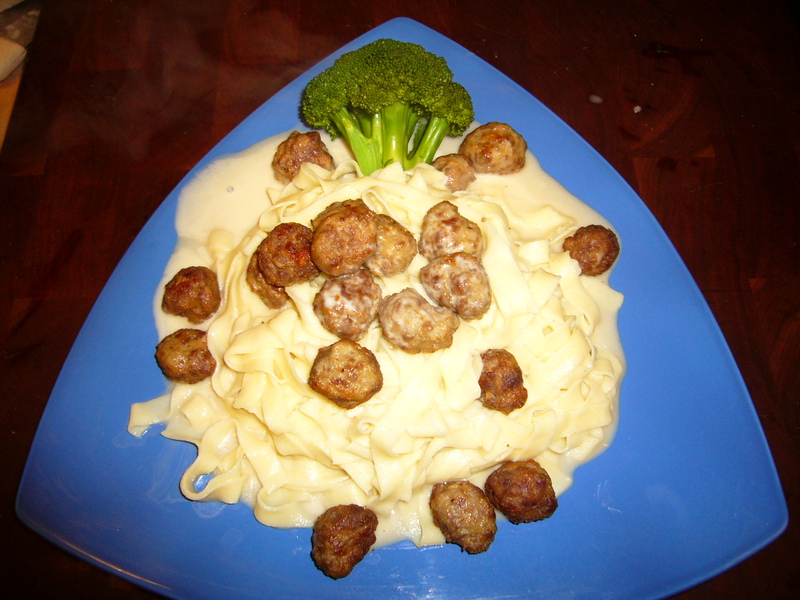 In picture, I made pasta, tossed the pasta with the sauce, and served the meatballs on top. Nice variation from the Italian version. 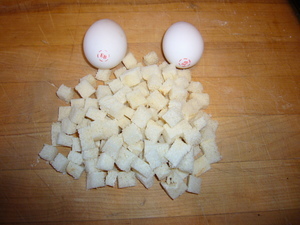 Add butter, flour, stock sugar and salt and pepper to taste to the TM bowl. 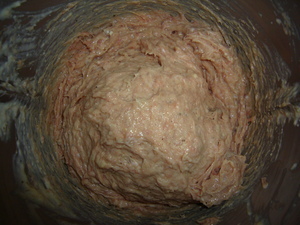 Process at speed 5, temp 90C, for 12 minutes. 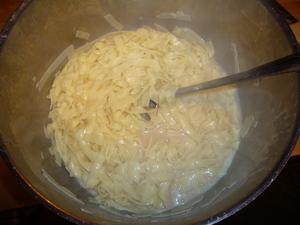 Stir in the cream and lemon juice. 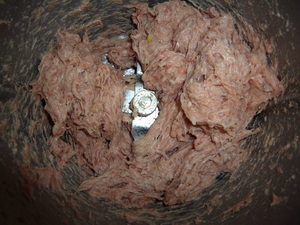 Place all ingredients into bowl of a food processor. Process till everything comes together. Knead briefly, and place under a bowl to rest for 20 minutes. 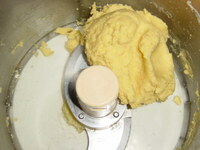 Divide the dough in half, picking one half to work with. Place other half back under bowl while you work. 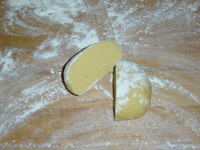 Pass the dough through the various steps of a pasta machine, until you reach the desired thickness. Once you've reached the desired thickness, you can use as desired. 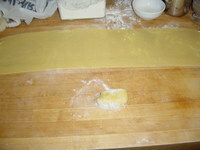 If making fettuccine, let the uncut dough sit on table a bit to dry out some. Make sure it doesn't stick to the table. Cut as desired.